Hey There! A great entrepreneur must always be on the lookout for emerging technologies and ideas that can benefit their business. By accessing this tech gear first, they can take advantage of their services and developing strategies around them. As the tech startup scene continues to grow, it’s important to envision the future and plan for the next 10 years. Whether a company is already well-established or looking to be the next groundbreaking organization in the tech field, the only way to guarantee success is to expand and improve on the work that has been done so far. Whatever your niche is, there are certain trends across the world that are growing in popularity and leveraging them is essential to scaling your business or startup. wearable tech will not only be fashionable but extremely useful in our daily lives. New developments in super-materials will help us create wearables that are more heat-resistant, lightweight and flexible. Moreover, as we continue to miniaturize and compact more computing power into our smartwatches and health-trackers, we will be able to improve the quality and quantity of data that we collect. With Uber, Tesla, Apple and Google racing towards the ultimate self-driving car, this car technology will be available at large, faster than we think. As the technology behind self-driving cars advances and becomes more sophisticated and our need to make our streets safer and avoid accidents increases, driverless cars will no longer solely be a luxury, but a go-to choice for most people. Self-driving cars will not only reduce the amount of accidents and save up to “30,000 lives”, according to Google, but will also reduce the amount of pollution produced by cars, through their electric and efficient routing mechanisms. Paper currency will be a thing of the past sooner than later. From Amazon Go, to Apple Pay, to small convenience stores in Sweden, it’s pretty obvious that even if our shopping habits aren’t changing, how we shop definitely is. Besides such digital currencies, cryptocurrencies like Bitcoin will be important in the future. Virtual currencies remove the need for a third-party verifier and help de-fragment the global market by creating a global currency that is not regulated by any one particular entity. Transactions with bitcoin are instant while banks take days. 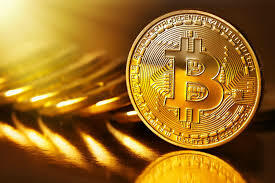 If you are as excited as me about Bitcoin, you should buy now as the price (of this very volatile currency) could skyrocket as high a $500k-$1M per bitcoin. Although for the largest audiences virtual and augmented realities are synonyms of gaming, the truth is that applications for this technologies are endless. Whilst some physicians and surgeons are introducing augmented reality into the OR for certain procedures and educational purposes, other industries are introducing virtual reality as a way of optimising costs and saving time. For example, architecture and interior design firms, such as Decorilla, use virtual reality to provide a 360º view of the proposal for a certain space before committing to a remodelling project. The ways these technologies can be leveraged for commercial and domestic use are almost infinite. Surely within the next 10 years most households will rely on some AR or VR device for basic, everyday situations. Some countries are adopting them earlier than others but in order to preserve our planet’s health and the life in it, including our own, it’s important to start investing in new less harmful ways of extracting and seizing the planet’s resources. This includes finding alternative and cleaner ways to produce energy that powers up our homes, vehicles and devices. Solar panels and geothermal heat pumps, tidal energy and even atomic energy can go a long way when it comes to providing energy. In the near future, making these alternatives available for domestic use is going to be easier than ever. In the next 10 years, these innovative technologies will transcend and transform our lives in ways we are just starting to imagine possible. In order to thrive, startups should take into account these trends and work towards the goal of complementing and improving them to build long-lasting businesses.